I purchased a compendium of Dr. King’s significant writings, sermons, etc., a few months ago, so I have used it in the past week to browse through other writings still unfamiliar to me. But when it comes to an annual practice, I have been reading “Letter from a Birmingham Jail” every year. This is probably more read (at least in parts) than even his “I Have a Dream” speech. Every year this letter has something that pierces my soul. Last year I read this letter privately, then read huge portions of it in one my classes because the president had once again made racist comments that only magnified the importance of Dr. King’s letter over 50 years later. It would be great if we had the habit of reading at least this letter every year and I invite you to do so this year. It is lengthy. Dr. King would not be a good Twitter user. We need to get over our Twitter reading habit as well. It would do us good to read this letter JUST as a well-reasoned document as to the WHY of nonviolent protest… and the WHY of the “now”. 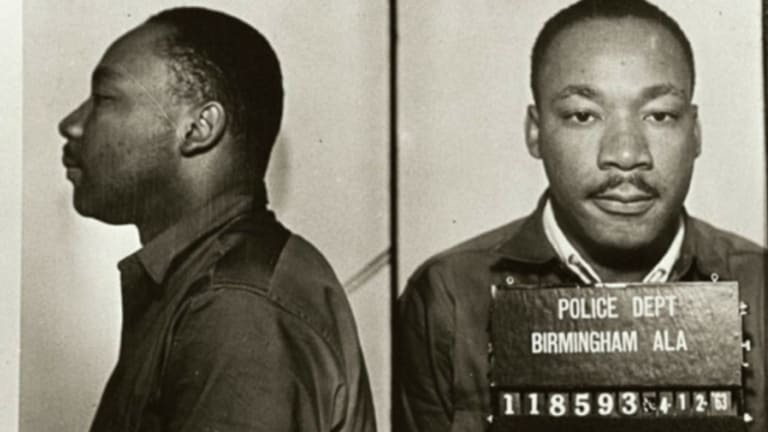 Dr. King lays out the case for understanding “just” and “unjust” laws. (His words STILL ring true in our day.) He gives examples. He is reasoned. He is passionate. He is determined. He is direct. He is truly fed up with lip service to the movement on behalf of whites… but more specifically the white church. It will be the “remnant church” that leads us through the time ahead as the American Church will be exiled to Babylon. There will be simple hunger and simple worship. This is always what the Spirit has through every age. In Europe, it was the monastic movement. In World War II, it was Bonhoeffer’s underground church. There is always a movement. We need to find that movement and be a part of what the Spirit wants to do. We need to move from our complacency and hear these powerful words of Dr. King once again. Next postPaul’s letter to American Christians — Martin Luther King, Jr.